It is evident that there is a high demand for merchant cash advance irrespective of financial institution participation. In the recent years, financial institutions have tightened the underwriting standards for loans, with traditional business lending alternatives virtually collapsing in the rise of the financial crisis. 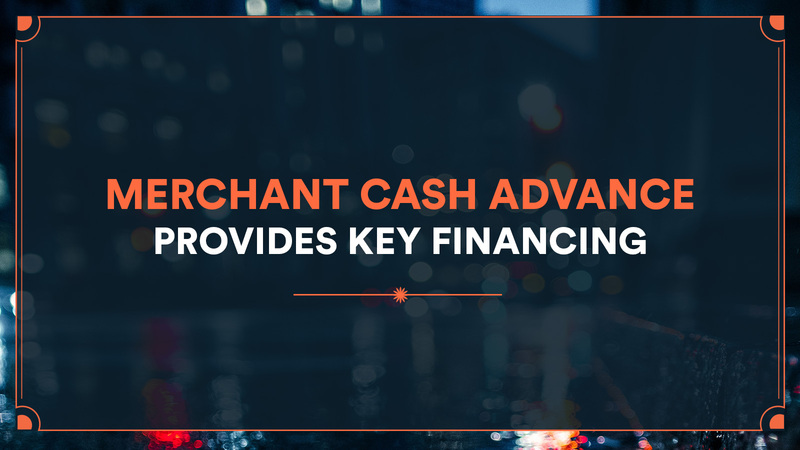 Merchant cash advance is a suitable option for many business owners because they provide required capital that might not be provided by traditional lending institutions. Cash advance is never affected by lending regulations because they are referred to as factoring products. This means that a business sells a percentage of its future credit card sales in exchange for a cash advance. A portion of the merchant’s daily credit sales is deducted to pay back the debt. Usually, the person seeking a merchant cash advance will get a lump-sum payment of four times their average sales volume of their credit cards. The lender and the merchant will then agree on how the cash advance will be repaid. For you to get approved by merchant cash advance lenders, your business must have a minimum monthly credit card sales volume of 5000 US dollars. As a merchant, you must also have a god relationship with your landlord and no unresolved insolvencies. The documentations required to get a merchant cash advance are minimal, and they include processing statement, bank statements and a copy of property leasing report. Depending on your potential cash advance provider, the loan repayment will be made in various ways. You can either repay through split funding, direct credit or escrow accounts. Note that split funding provides simplicity and convenience, while escrow accounts and direct debit are relatively cumbersome to manage and offers minimal control to the business owner. Below is a guide on how the three methods work. In this method, the business owner allows its processors to forward the fixed amount of the borrower’s daily payments to the account of the lender and deduct the balance to the merchant’s account. Split financing is the most ideal for the majority of merchants since it is time-consuming and less risky. It provides the most convenient alternatives for merchants due to its simplicity to control its repayment plan. Daily payments are deposited by the processor, and the lender deducts the agreed percentage from the escrow account. After that, the remaining amount is transferred to the merchant account. This process will result in a delay in receipt of the finances. On top of that, the merchant has minimal control over its finances. This is because the third party has free access to all finances to the debit the amount before they are given to the borrower. The merchant cash lender deducts the agreed percentage of the daily payments directly. The amount is debited from the merchant’s bank account. This implies that there is less control to the merchant and once the deductions are frequently made, it will cause the dealer to overdraft.